with heavy duty steel frame and powder coated finish. Well padded seat with integral tool tray. 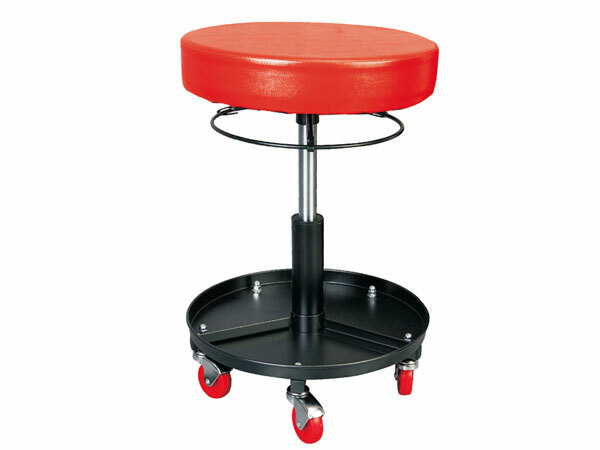 5 swivel casters for easy movement. 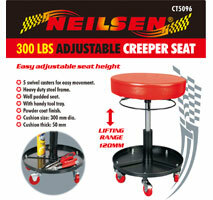 300mm diameter cushion / 50mm deep. Height adjustment up to 120mm.